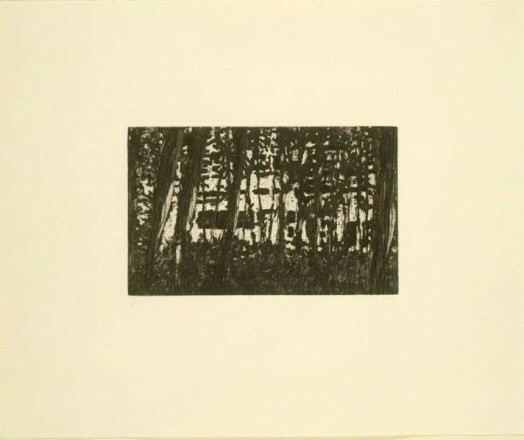 UNTITLED (GREEN) 1998 Peter Doig (1959 – )	P7092 © Peter Doig. All Rights Reserved, DACS 2018. RED HOUSE 1996 Peter Doig (1959 – )	P6709 © Peter Doig. All Rights Reserved, DACS 2018. 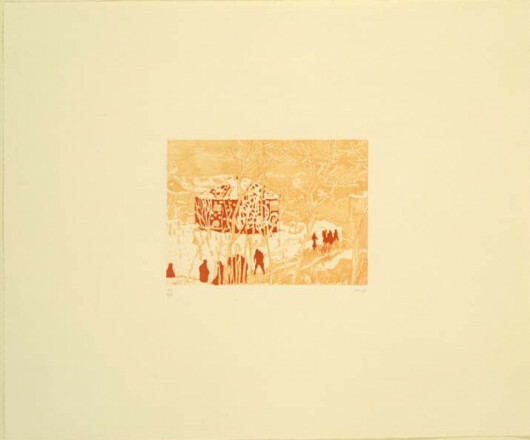 CONCRETE CABIN 1996 Peter Doig (1959 – )	P6702 © Peter Doig. All Rights Reserved, DACS 2018. 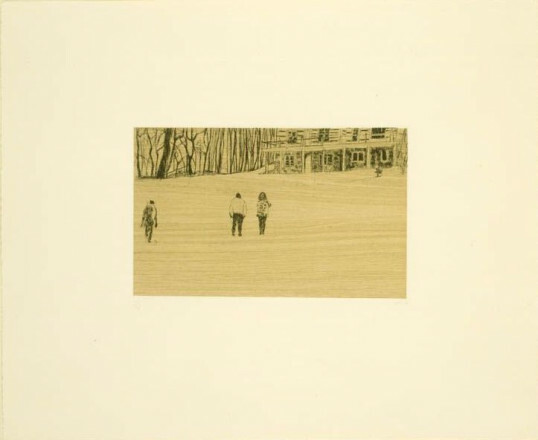 FROM 'POND LIFE' 1996 Peter Doig (1959 – )	P6707 © Peter Doig. All Rights Reserved, DACS 2018. 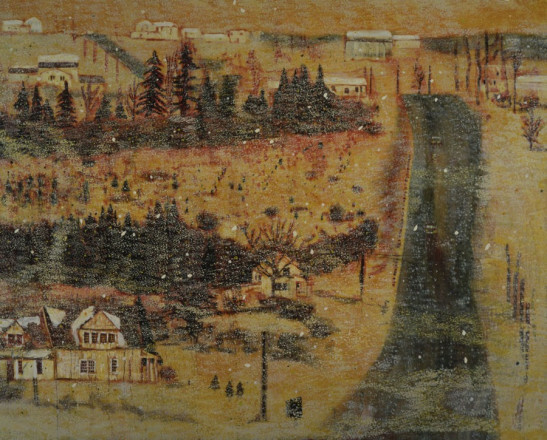 HILL HOUSES 1990-91 Peter Doig (1959 – )	P5866 © Peter Doig. All Rights Reserved, DACS 2018. 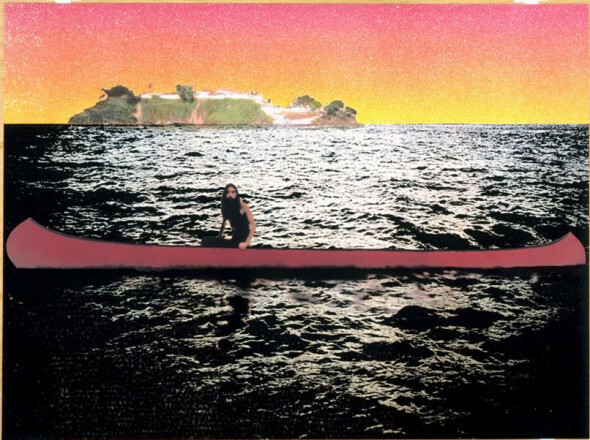 CANOE-ISLAND 2000 Peter Doig (1959 – )	P7426 © Peter Doig. All Rights Reserved, DACS 2018. BLOTTER 1996 Peter Doig (1959 – )	P6705 © Peter Doig. All Rights Reserved, DACS 2018. CONCRETE CABIN 1996 Peter Doig (1959 – )	P6710 © Peter Doig. All Rights Reserved, DACS 2018. SKI JACKET 1996 Peter Doig (1959 – )	P6701 © Peter Doig. All Rights Reserved, DACS 2018. 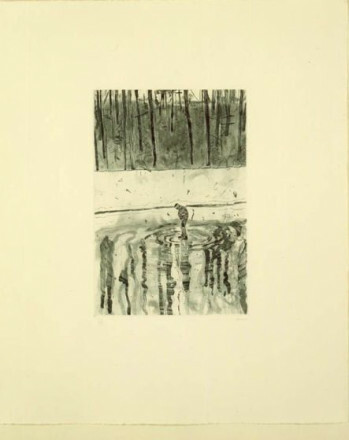 FROM 'POND LIFE' 1996 Peter Doig (1959 – )	P6704 © Peter Doig. All Rights Reserved, DACS 2018. 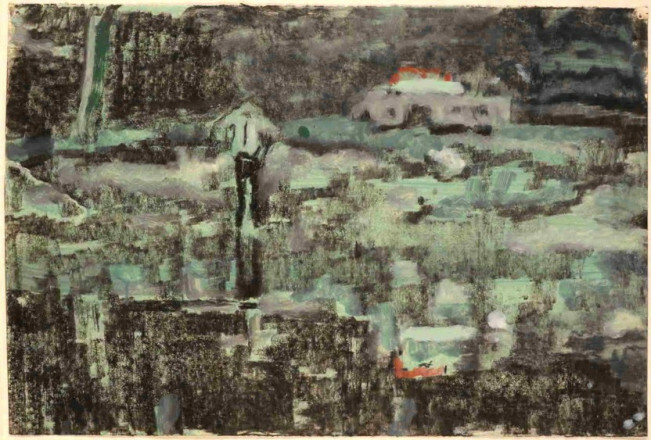 Untitled (Green) (1998)is one of a number of oil on paper studies made by Doig, partially inspired by the concluding moments of the horror film Friday the 13th(dir. Sean S. Cunningham, 1980). 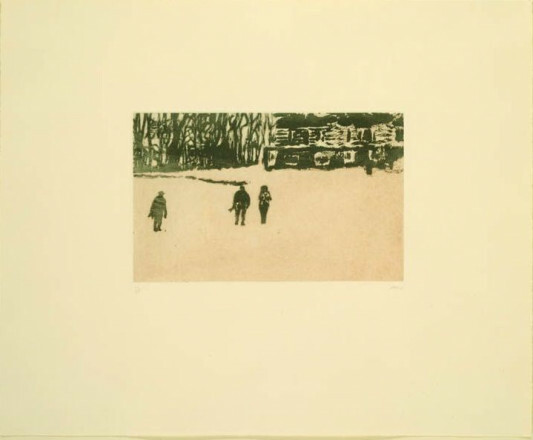 Working on a quieter, more intimate scale, Doig produced a series of etchings derived from his own paintings from the period 1992 to early 1995. 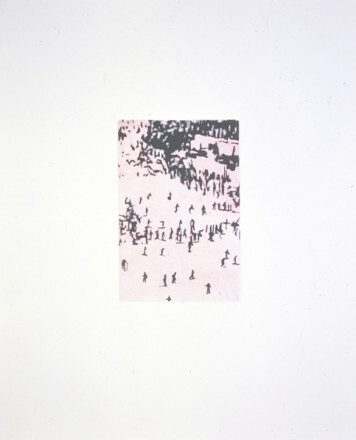 The artist refers to this printmaking as a process of cataloguing his previous works, creating a layering of image sources, which is typical of his practice. 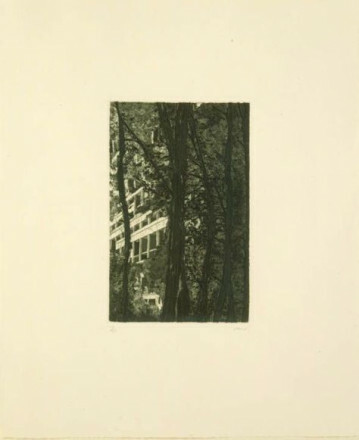 The etchings originate from his paintings, the paintings in turn originate from photographs, mostly taken by artist, who savours the slippage of detail between the three processes.